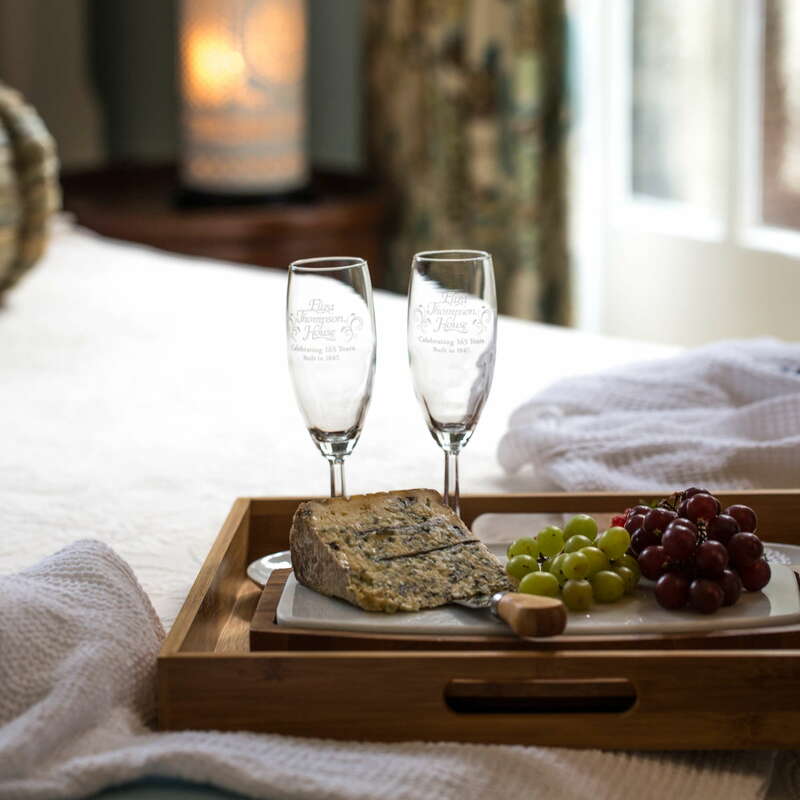 Afternoon wine, cheese, and appetizers and luscious evening desserts and sherry are served in the atmospheric main parlor of this fine town house built by Eliza Thompson's loving husband, Joseph, for her and their seven children in 1847. 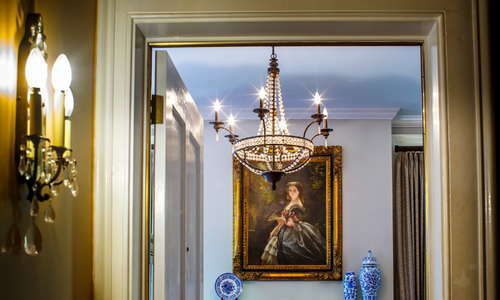 This gracious Federal-style home was transformed into a B&B by the first "new" owners in 1977; a boatload of furnishings and portraits in gold-leaf frames were shipped over from England. 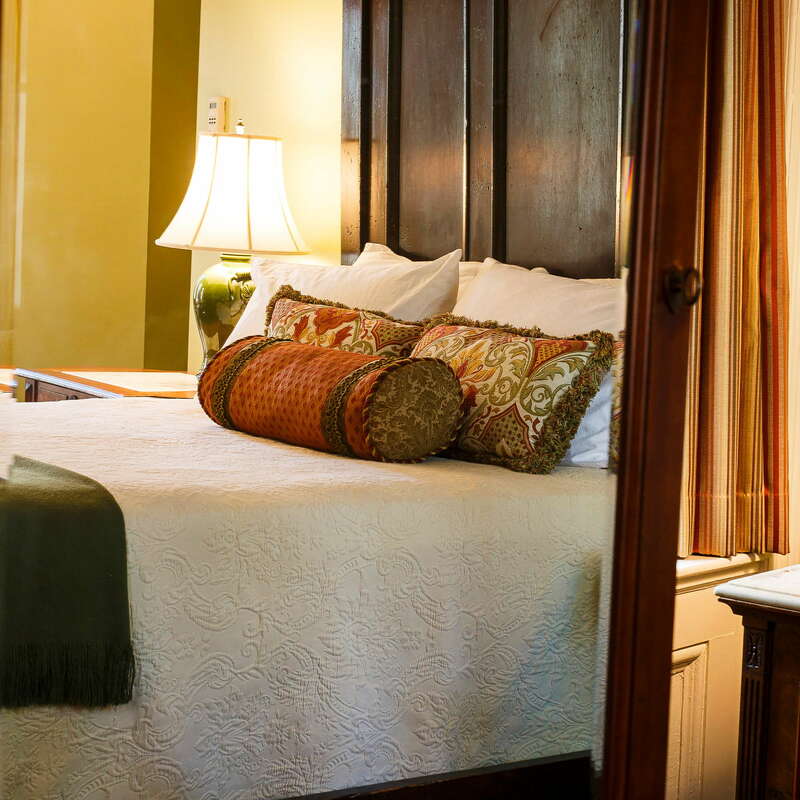 The rooms are well appointed, some with antiques and vintage beds, fine linens, and other designer accents. The R. Bruce room, with its draped ceiling and original hardwood floors, is considered the most elegant. 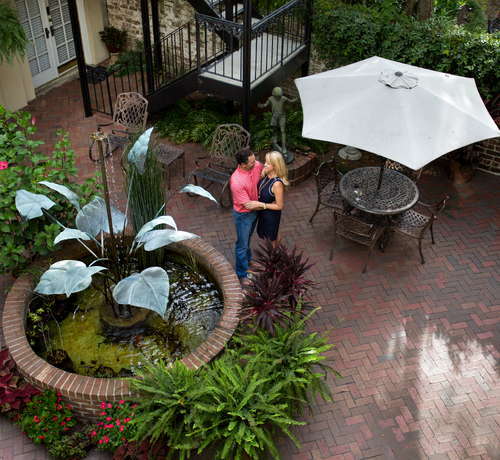 A full breakfast is taken in the tranquil brick courtyard with its soothing fountains. 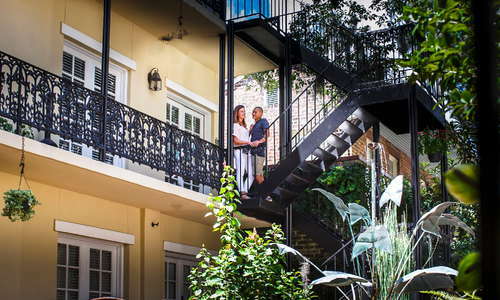 Adjacent is a New Orleans–esque carriage house with 13 moderately priced rooms. 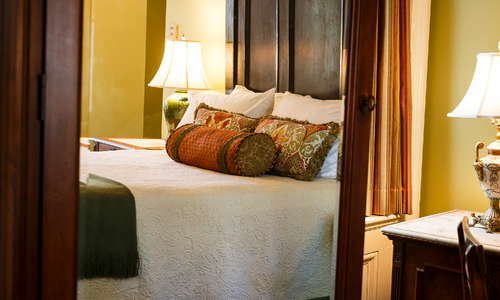 It's worth noting that this inn is rumored to be haunted, and several travelers have had spine-tingling experiences here. 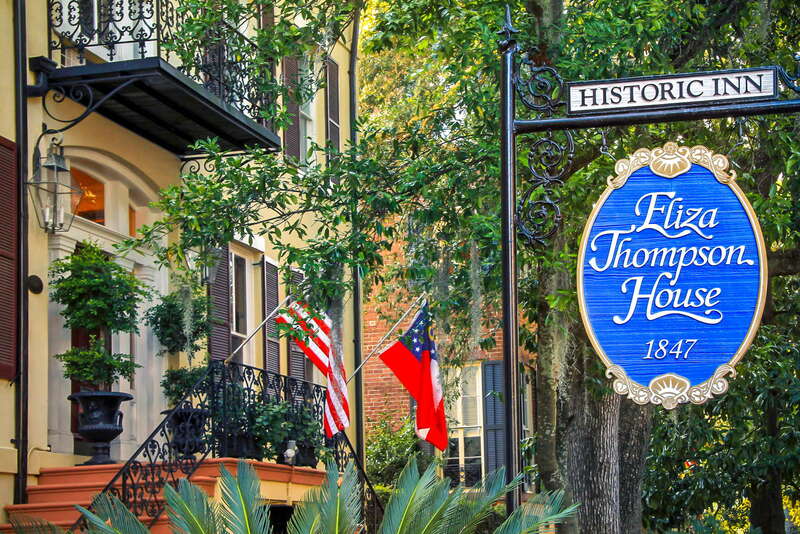 YOU SHOULD KNOW Street parking is tricky in Savannah, but the Eliza Thompson House offers a great solution: 24-hour passes for $15 and 48 hour passes for $24 allow visitors parking in any city parking garage or at any parking meter labeled for an hour plus. 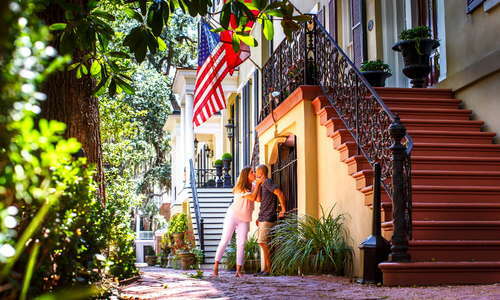 The 25 rooms all capture the sultry charm of an elegant, historic Savannah home. 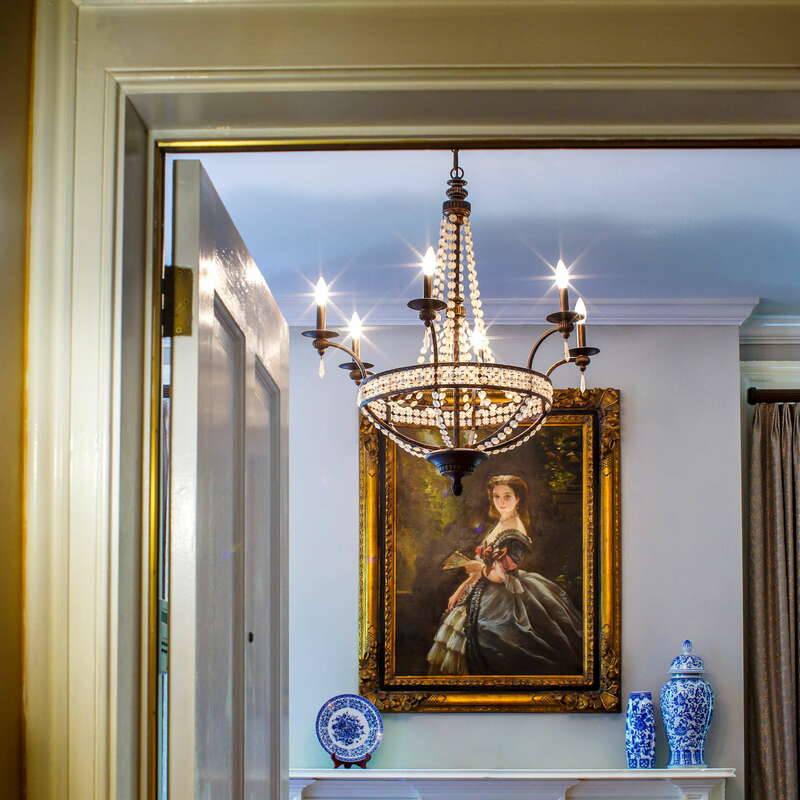 Each of the rooms is adorned with antique art, accessories, and furniture to set the authentic mood. 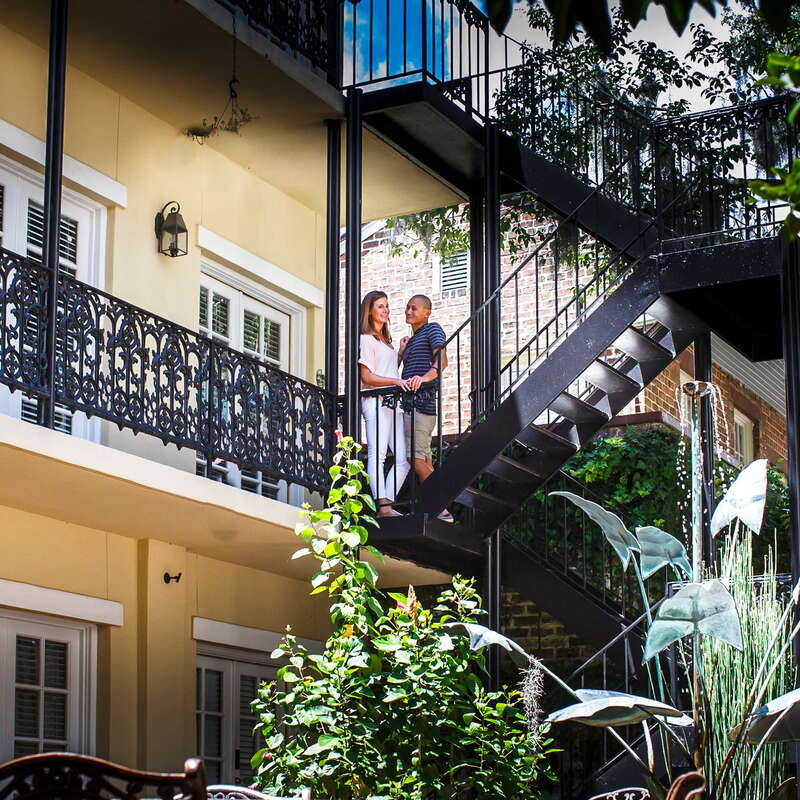 Many of the courtyard rooms have ornate wrought-iron balconies. The Sealy pillow-top mattresses provide welcome rest for a weary traveler’s bones. The bathrooms are kept immaculate. 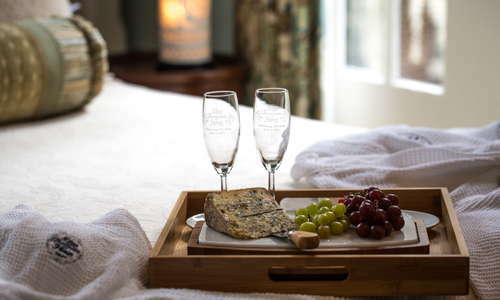 High-end bath products and robes are provided in all rooms. A quintessential double-sided wrought-iron staircase leads up to the entrance of the house. 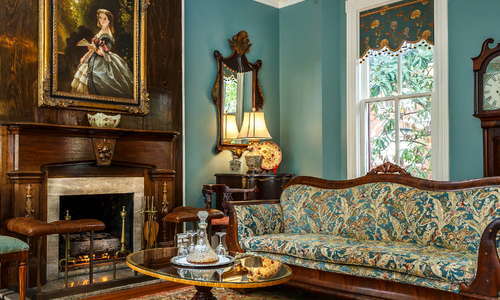 Once inside guests are immediately treated to a lovely parlor area, scattered with antiques and relaxing places to take a load off. In cooler weather, the fireplace completes the comfy ambiance. 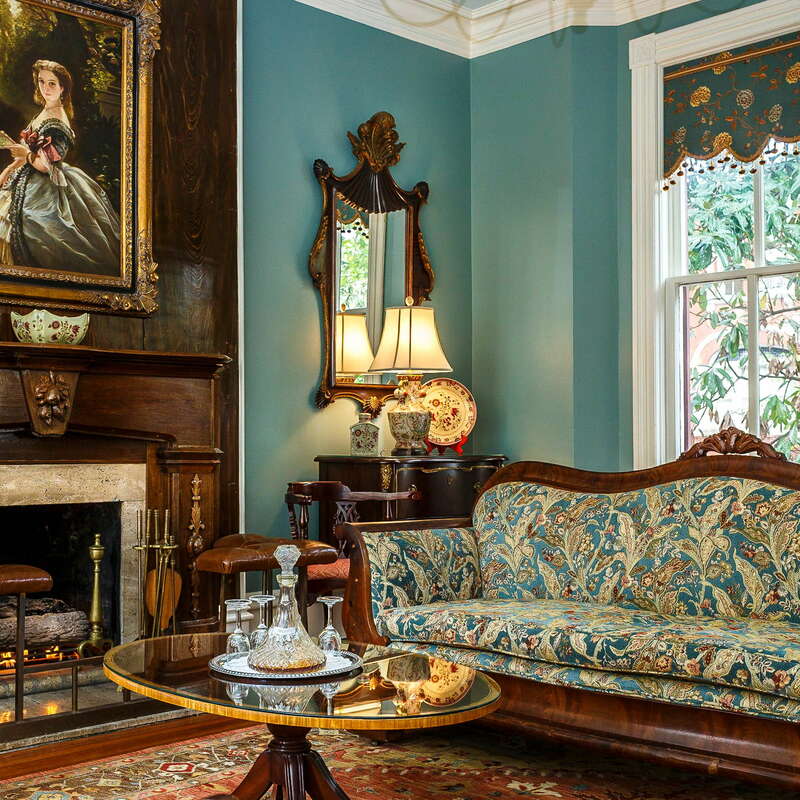 Many of the tours of historic Savannah homes require booking in advance, so sort these details out when you book. Don’t wait until the last minute. A southern-style breakfast is offered daily in the courtyard, including casserole dishes, traditional southern grits, bacon, eggs, sausage, fruit, juices, and coffee. During an afternoon reception, wine, tea, soft drinks, and hors d'oeuvres are served. Mrs. Wilkes' Dining Room (1-minute walk) is a must-try if you've never been. This family-style Southern luncheonette has, arguably, the best fried chicken in town. Tip: It's first-come-first-serve, so get in line early because it fills up quickly. Hitch (2-minute walk) offers many interesting takes on standard American eats. Shrimp-and-grit tacos, duck confit pizza, and PB&J wings may sound crazy, but they are undeniably tasty. Husk Savannah (9-minute walk) carries on the palate-pleasing traditions of its famous sister restaurant in Charleston, to great local acclaim. You certainly won't regret dining here if you can get a reservation. Artillery (4-minute walk) serves some of the most delicious cocktails in town in a cozy space, fitted with impeccably appointed details. Sharp-dressed bartenders pour their rare concoctions like scientists. Serving more than 40 wines by the glass, In Vino Veritas (6-minute walk) also offers fine cheeses to pair with them. 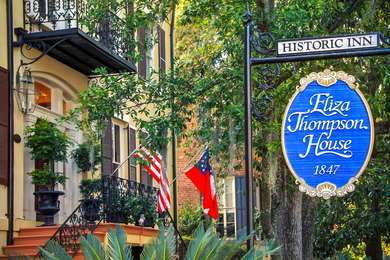 The Eliza Thompson House is centrally located in the hip southern part of Savannah’s Historic District. 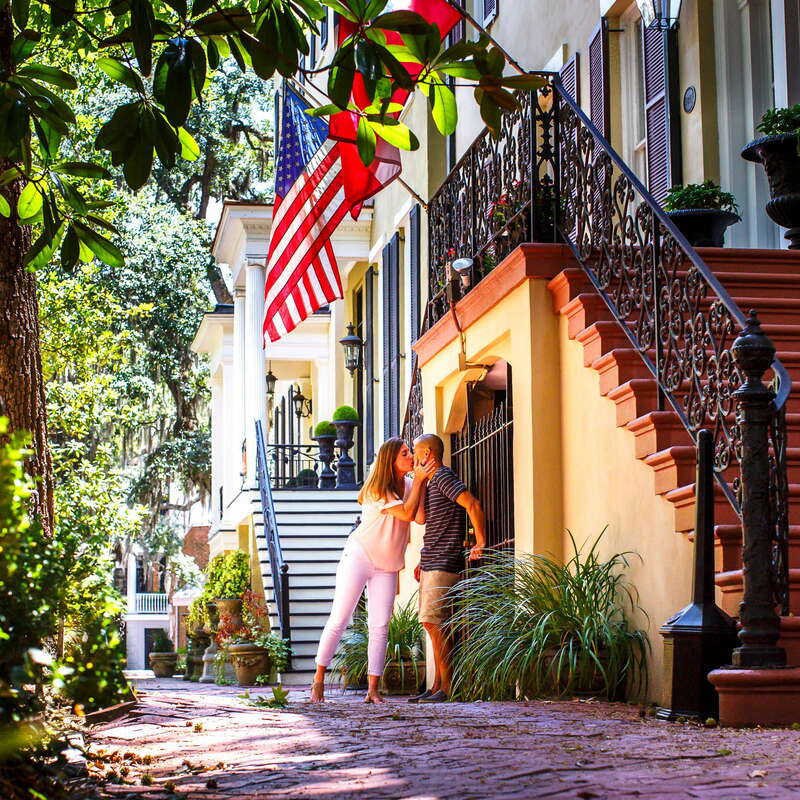 The residences absolutely encapsulate true southern charm.